For those who don’t know what a recliner is, well, I can only tell you that you to meet one of the most popular homes and office furniture. 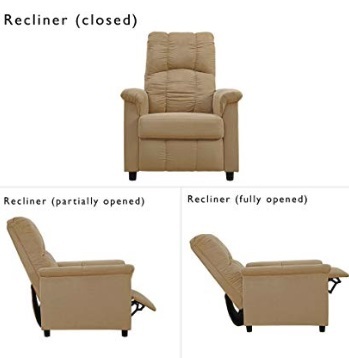 A recliner is an armchair or sofa that allows you to move them back into a sloping position, it reclines when the occupant lowers the chair’s back and raises its front. Recliners have a backrest that can be tilted back, and often a footrest that may be extended by means of a lever on the side of the chair, or may extend automatically when the back is reclined. • Recliners relieve you of stresses built up in your back and offering you comfortability. • It helps direct the flow of blood in the body, thereby eliminating blood clogging in the veins. • It removes strains in the body joint and gets rid of aching in the joints. • Recliners reduces pressure on the lungs and the heart. It also helps calm your nerves. • It helps you relax in the most comfortable way ever. Recliners have been found to relieve the symptoms of snoring, sleep apnea, heartburn, acid reflux, and Gastroesophageal Reflux Disease (GERD). • The Rocker, or Swivel – Rocker bases allow your recliner to rock or glide, while swivel recliners allow you to pivot and face any direction. • Quality Upholstery – Recliners are known for their large cushion padding and quality upholstery to offer the comfort you desire. • Massage – Some recliners have built-in heating and massaging capabilities to take your relaxation to a higher level. • Wall Hugger – This feature allows you to place the recliner much closer to the wall, only a few inches, to save space. 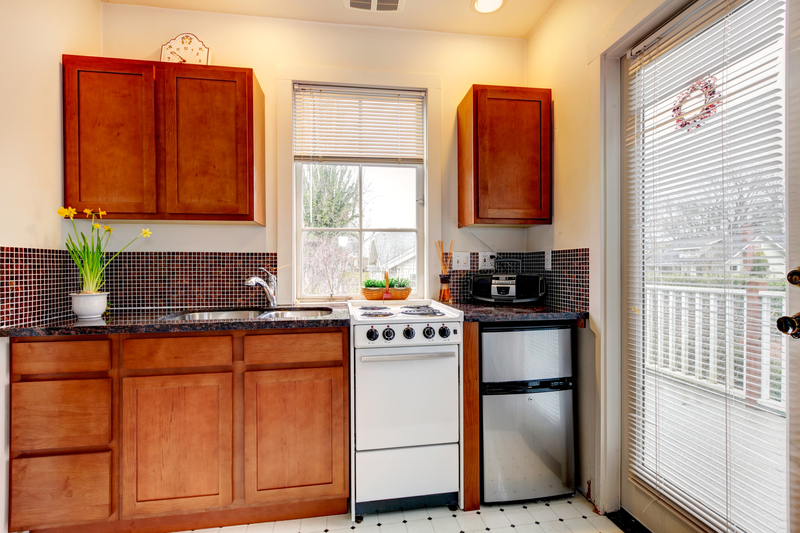 This feature is great for small spaces and apartments. • Lay Flat – This feature, as the name implies, simply allows you to lay your back 180-degree and also relaxes your body with the Zero Gravity technique. If your back is already yearning for the use of recliners but you are worried your small apartment cannot house it conveniently. Allow me room to wave my wand, and Abracadabra! Here you have it! It is my pleasure to present these best recliners that will save you space without compromising your comfort. Browse through the list and pick your choice (you can choose to buy all too). 27" x 29" x 38"
34" x 36" x 40.5"
34.8" x 28" x 41.2"
35.8" x 31" x 38"
27.6" x 35.8" x 38.6"
If you are looking for a recliner for your living room, bedroom and Home theater, get this recliner. The Devoko Manual Recliner frame is made of the combination of metal and wood, and the sofa is made of PU leather that guarantees durability, softness, and maximum durability. The PU leather makes this recliner really easy to clean because it wipes easily. 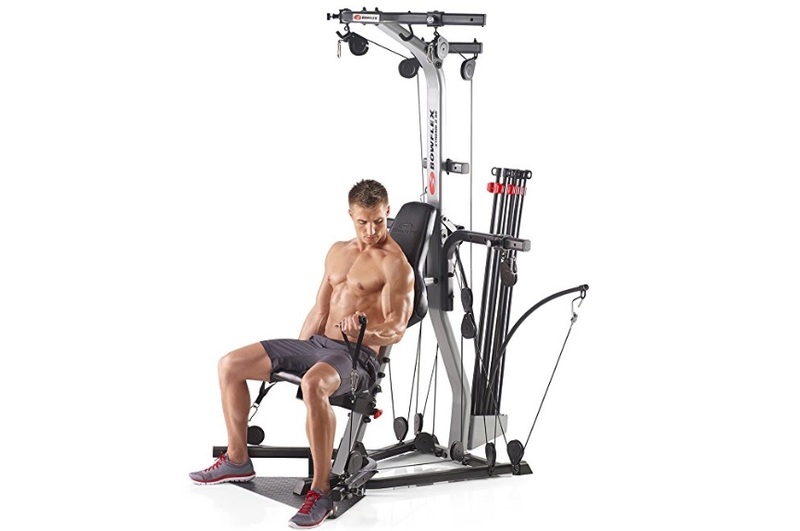 The recliner allows for adjustment from 900-1800 and can be flexibly used in three modes to meet your demand. The reason why this Recliner is making our list is that it is both soft to sit and solid in structure, and helps to relax your whole body and legs with comfortable footrest. That’s not all, it also comes with extra padding in the back, footrest, and seating area to enhance comfort. It also features a double thick-padded footrest, as well as wider curved armrests. Once you get this sofa, you should never worry about assembly since each recliner is pre-assembled before delivery. 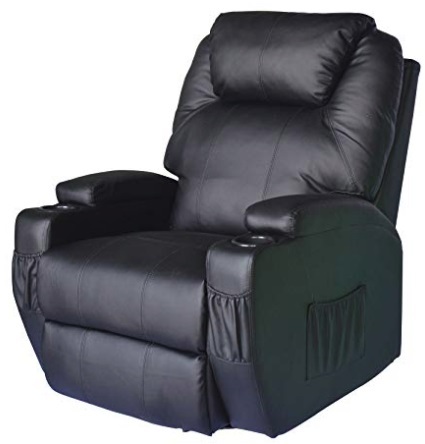 The recliner measures 27″L x 29″W x 38″H when closed, while it supports a maximum capacity of up to 275lbs. • The PU leather and the extra paddings make this chair very comfortable. • The color is beautiful and the overall design enhances a stylish look. • The recliner very affordable and easy to assemble. • The flexible adjustments and the three modes usage function enhances ease of operation. • The wide curved armrests provide support and comfort. • The recliner is not suitable for people taller than 5 ft 6. • There is no recline mechanism but relies on you pushing back toward the chair. Slight shifting (without the intention of reclining) can force the chair into a more-reclined or less-reclined position, making you re-adjust anytime this happens. • The recliner is not recommended for people who weigh more than 250lbs, for endurance and durability. 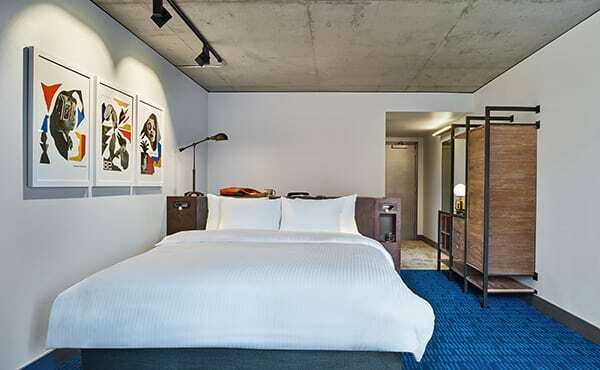 • The backrest and the footrest are connected to each other, so there is no way to move one without the other! 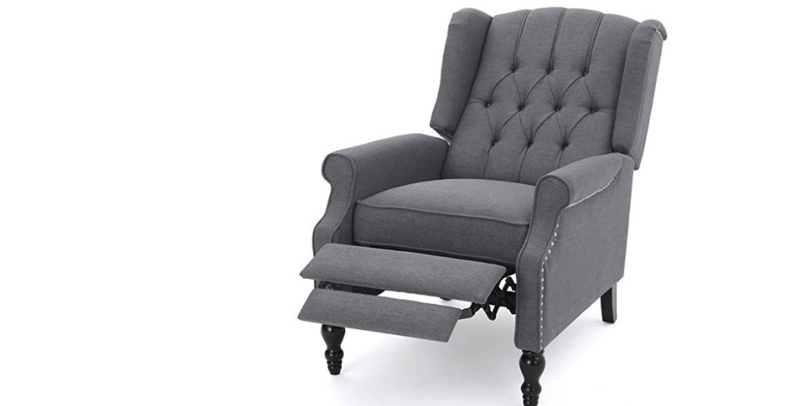 This recliner from BONZY is arguably one of the best in the market. BONZY, a company founded in 2003, has continued to develop new products focused on environmental wellness, comfort, and safety. This recliner delivers almost everything you could possibly want from a chair in one neat package. The design is fascinating, the look is stylish, and the smooth reclining mechanism invites for an easy and effortless transition. The recliner is stuffed with an incredibly soft cushion and covered with ultra-soft fabric to give you the plush and comfortable experience. Equipped with an easy pushback mechanism that allows for semi and full recline, the recliner, with the slightest pushes, alters the positions to your choosing. The frame is built with hardwood frame for safety and support, and the traditional silhouette compliments both contemporary and traditional décor. The stylish look of the recliner is all thanks to the upholstery with a thick cushion that makes the recliner perfect for relaxation. The rolled armrest provides comfortable arm support. • Reclining is very easy, due to the pushback mechanism. • The assembly is easy, as it only needs to be done in three steps and can be done in a few minutes. • The recliner chair is not suitable for tall people! And it is not ideal for people heavier than 250lbs. • A buyer on Amazon claimed that one side of the recliner fell off just after 60days of usage. • Another buyer on Walmart claimed the recliner was making funny noises when sitting in it and internal pieces were falling out. Meet Elizabeth, one of the best recliner chairs that will let you relax your neck, back, shoulders, and legs. This recliner’s design allows you to rest your head so that you can relieve the pressure on the neck. Shoulder strain? Elizabeth’s soft and comfortable backrest is there to soothe the shoulder strain. It provides more than enough space to allow your lower back to relax while its footrest lets you lift your legs to improve blood circulation., thanks to Elizabeth’s wide cushion. 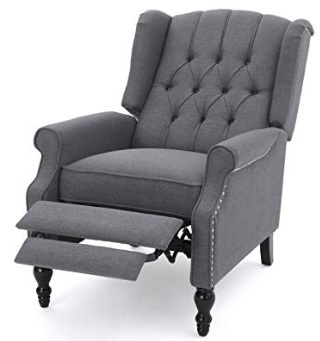 In overall, the GDF Studio Elizabeth Recliner is suitable for people that want to reward their back with a recliner but are worried about the small size of their room. 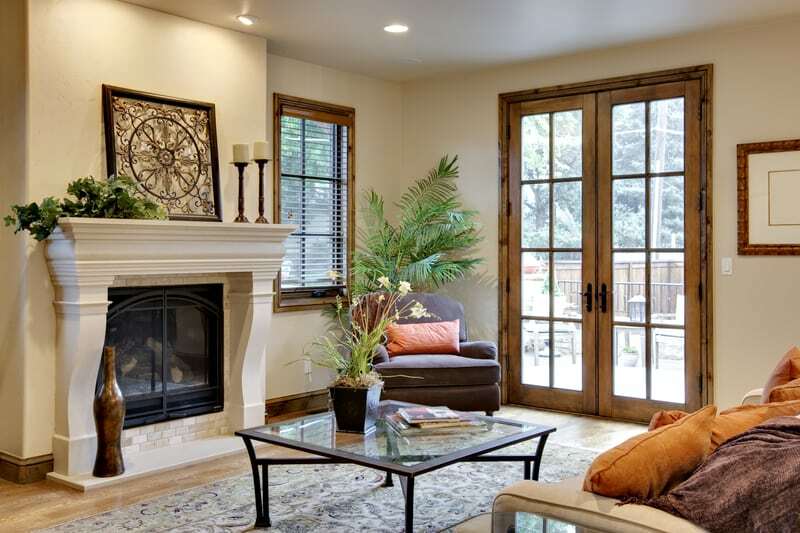 It is perfect for entertaining or relaxing while offering an intelligent design touch to your home. The tufted back gives this recliner the sleek appearance that allows it make a statement in any room. The shape and height of the back command attention while the armrests and cushioned seat allow for maximum comfort. • The breathable materials allow the recliner to dissipate heat. • High-Density multi-layered foam provides balance and support. • Shrink resistant materials enable the shape to return to the original configuration thereby resisting deformation. • Assembly requires more efforts and cannot be done by one person. • The recliner chair is not durable under heavy usage. 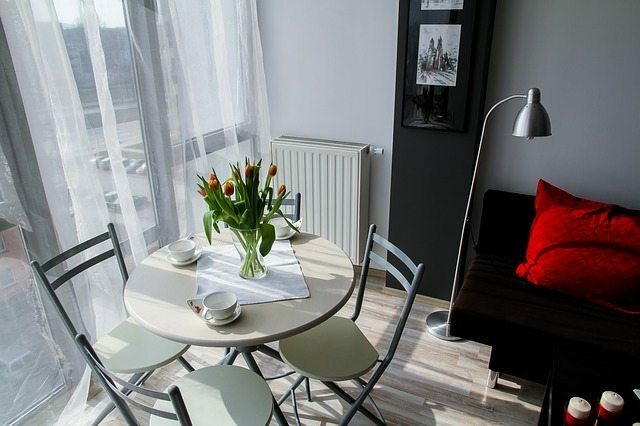 • The backrest is connected to the footrest, so you cannot recline one without the other. • The chair wobbles about if you rock it side to side. Dorel Living Slim Recliner is undoubtedly one of the best space saving recliners. With its laid-back style and plush design, this slim recliner offers the right amount of support for your back and legs. 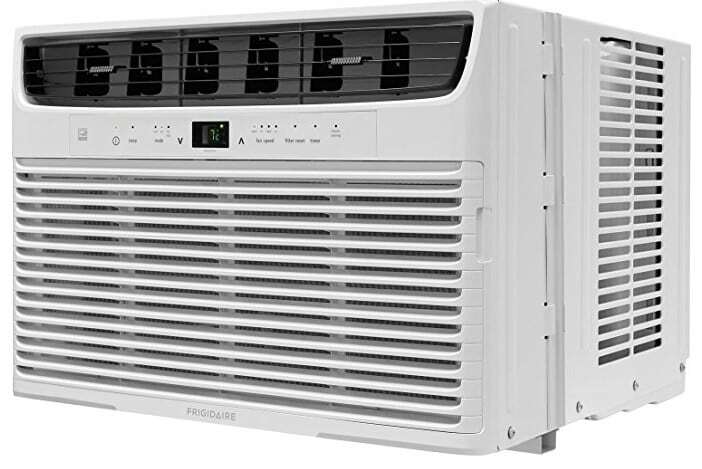 It can be placed conveniently in a living room, bedroom, balcony, or your home theater, it is the perfect match and blends with almost anything. 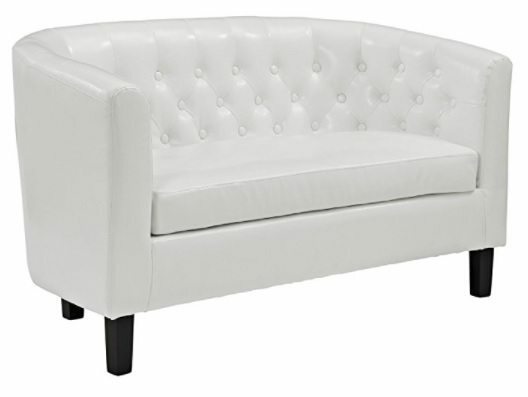 The tufted channel back cushions, thickly padded seat and pillow-top arms ease your nerves and improve your comfort. Thanks to the smooth pushback reclining mechanism, you only need to lean back and recline the chair to raise the footrest. The upholstery is made of an easy to clean beige microfiber, enabling this cozy chair fits well into any room décor. Relax in comfort with the Dorel Living Slim recliner. The combination of supreme comfort, relaxed classic style, and soft-microfiber are all hallmarks of this versatile recliner. The features of this recliner earned it a spot on our list of the best recliners for small spaces. • It comes with a 1-year limited warranty. • It is super comfortable and well-padded. 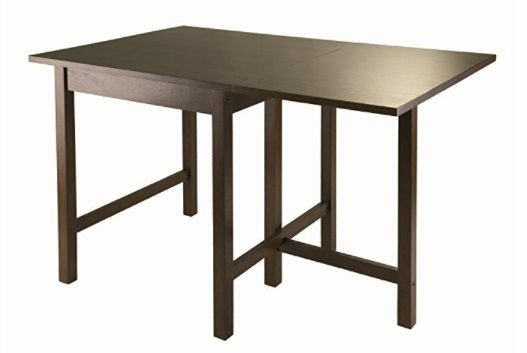 • It is very easy to assemble, you just need to screw the legs on, then slide the top/backrest piece on the seat part. 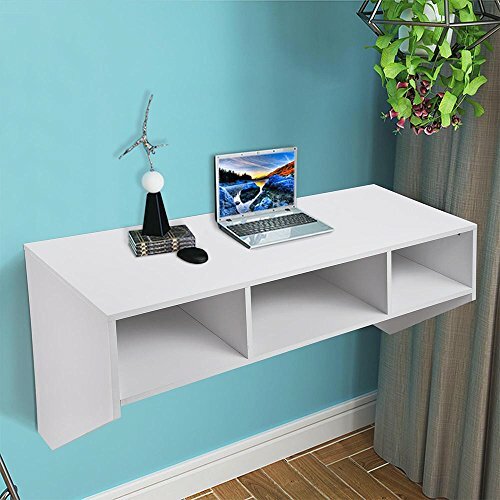 • It is really good for space saving, making it perfect for smaller apartments. It is also easy to move around. • It is one of the most affordable recliners available. • It offers 3 functional positions and good back support. • It has no handle mechanism, so you have to push back on the backrest to recline. • The footrest is short, compared to other recliners in its category. • It is hard to recline it because it requires quite a bit of pushing on the back of the chair. • It does not recline all the way back to laying-down position. The recliner is made using a high-quality PU leather that is not only comfortable to the skin but also easy to clean. It also features a high-density thicker sponge that allows it to deliver the extra comfort to your living room. If you are looking for an attractive recliner to go in your living room, bedroom, or even your recreational area this is the one for you! The wide armrests with a curved shape, the large-size seat cushion, and the thick recliner back gives your body the perfect comfort. The Homall Single Recliner Chair is made of high-quality PU leather that is nice to the touch. And the double thick padded footrest allows your foot to rest. One of the exquisite features that made this recliner into our list of the best is the retractable footrest that eases the adjustment of the modes to meet your requirement. The design is complemented by the exquisite dual stitching design which offers an elegant and comfort experience. The dimension 500ij1od the chair is 29.2 x 20.7 x 27.7 inches and it weighs 61lbs only. • It is affordable, compact, lightweight, and very easy to recline. • No-mat rubber feet help to protect hardwood floors from scratching. • The recliner is easy to move and carry around, thanks to its compact and lightweight design. • The assembly is very easy to setup. • It can be adjusted to meet different needs, and also easy to recline and position back in an upright position. • The material is not leather but it is nice and leather-like. • The recliner has a plastic smell, which takes time to go away. A recliner chair is a good way to reward your back after a long day. Even if your space is small, be rest assured that these recliners will fit and blend well as they are designed for small spaces. These recliners are quite affordable and of various style and design, and each with its own pros and cons. But if you need a recliner that works fine and saves space, go ahead and pick one from our list of the best recliners for small spaces. Massage recliners help reduce stress, tension, and anxiety. In our present world where stress accounts for around $26B in medical and disability payments, getting a massage recliner can save you the stress. Also, the massager recliner relaxes and loosen sore muscles, improve blood flow, speeds up recovery from injuries and ailments, eliminates toxins from the body, and stimulates endorphins that help the body cope with pain and stress. If you don’t know, massagers also increase the number of white blood cells that help defend the body against diseases, thereby boosting the immune system. And, obviously, they alleviate body pains and headaches, decompress and improve the spine alignment, and improve the body’s overall posture and balance. Aside from offering the benefits of a regular recliner, the massage recliner chair also regulates high blood pressure, improve sleep quality, and keep depression at bay. A good thing is all of the massage recliners featured on our list are very amazing at keeping depression at bay by increasing the happy hormones in the body, which include serotonin, dopamine, and endorphins. Investing in one of the recliner chairs is like getting a never-ending supply of these happy hormones. We all want a massage chair for full-body-therapeutic benefits. The massage function in a recliner is the most important, in a gentle or firm squeezing movement. Massage recliners, mostly, are equipped with heating systems that deliver heating therapy with ‘healing’ abilities. Some chairs have the ability to heat only one area while others can heat multiple areas. Massage recliners are often designed to be extra comfortable and packed with extra paddings. The HomCom-fort king is here! A great massage recliner that merges heat and massage into one comfortable seat. Enjoy a varying level of relaxation that can hit the point when reading a book, watching a movie or just sitting and meditating. The extra padded soft faux leather upholstery is sure to do your back some good, while the five pre-programmed modes and two varying intensity levels help you find complete relaxation. It also has a high back and padded headrest that offers comfort for people of varying heights. This recliner offers your utmost comfortability in style! The HomCom massage recliner has eight vibration massage motors that target critical zones in the upper and lower back and the thigh and calves, which can all be activated at once or selected individually. The massage, in particular, covers multiple areas of the body and offers several choices for speeds and intensity as well. The most awesome function, for most buyers, is the heat function in the waist area. 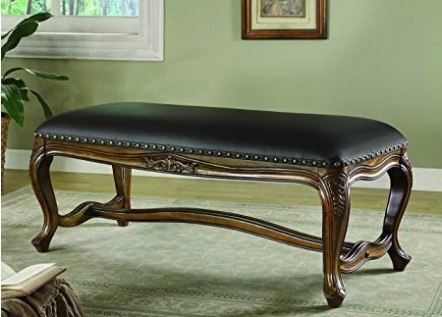 It warms and soothes the body’s aches and pains as you sit. The heating is centered on the waist area to help relieve pain in the lumbar region. 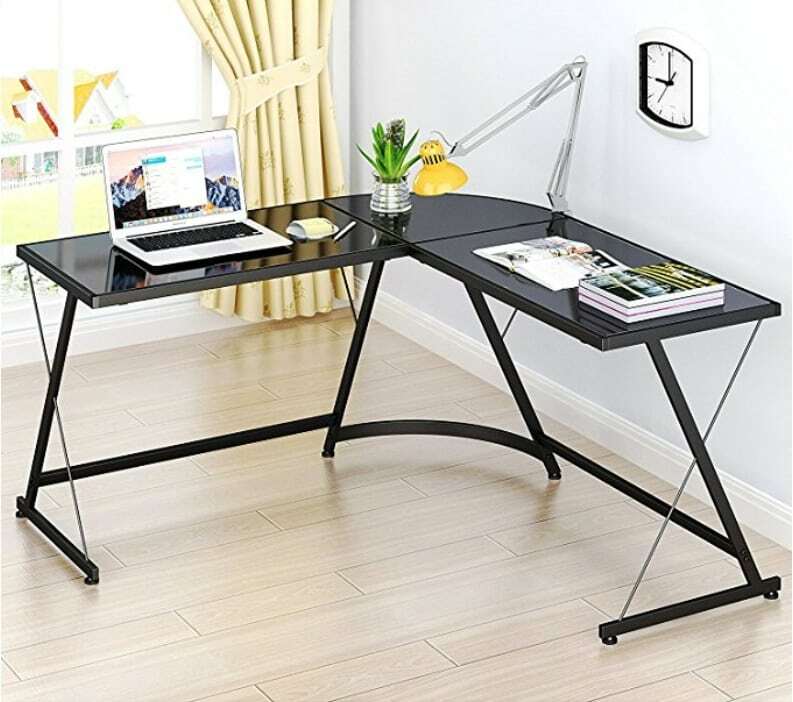 The chair is firmly supported by a metal steel frame which makes it stable and supportive, and it can accommodate up to 330lbs weight conveniently. The massager does not lean back completely, but it allows you to recline to a very comfortable angle for resting or napping. The chair has a 360-degree swivel and a back-and-forth rocking that add rhythm to your relaxation. Complementing the functionality and the grand design of this recliner chair is the attached remote control that simplifies the activation and the control of the chair’s massage and heating functions. A storage pocket is provided on a side of the chairs, while two cup holders help you hold your drinks, your phones, or media remotes. Put this HomCom PU Leather Heated Vibrating 360 Degree Swivel Massage Recliner Chair with Remote in your living room to enjoy the power of true massage therapy! The five pre-programmed modes and two intensity levels are great. The extra-padded and thick cushion ensures maximum comfort. 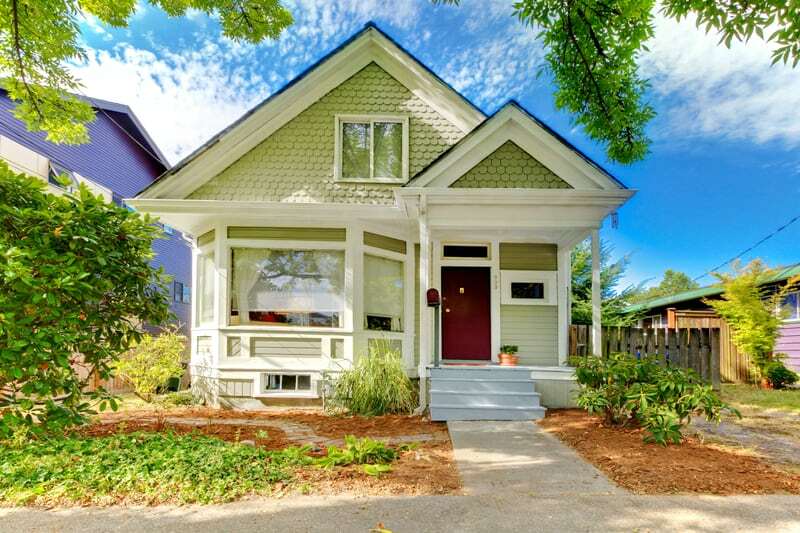 The design and style fit into any décor and creates amazing first impressions. The remote control and cupholders are great too. The price is quite fair, given the features of this chair. The leather is fake but very comfortable. The recliner is not suitable for people taller than 5ft 2 and weighs over 150lbs. The chair is not really durable, especially under heavy usage. The 8-point electric massage system and heated lumbar region – that eases away your tension whilst the rest of your body recline in comfort, helps relax your muscles and ease away your back pain – makes this massage reclining chair a good thing to buy. Housed in a stylish leatherette finish that is soft to the touch, long lasting and easy to clean. 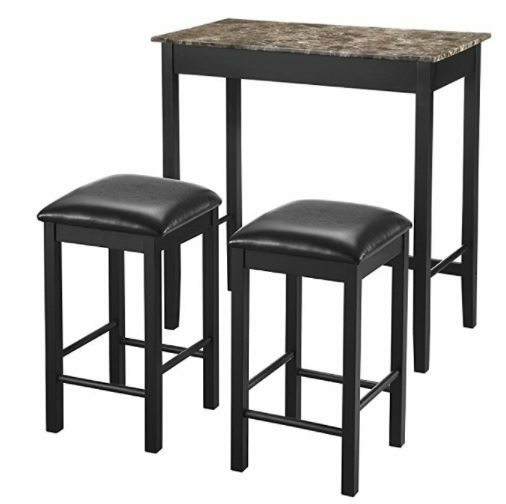 The stylish piece of furniture comes with 2 cup holders, 2 front storage pouches, 2 side storage pouches, allowing you more room for the TV remote, your favorite books, and magazines. The 3600swivel lets you rotate all around your sitting position. 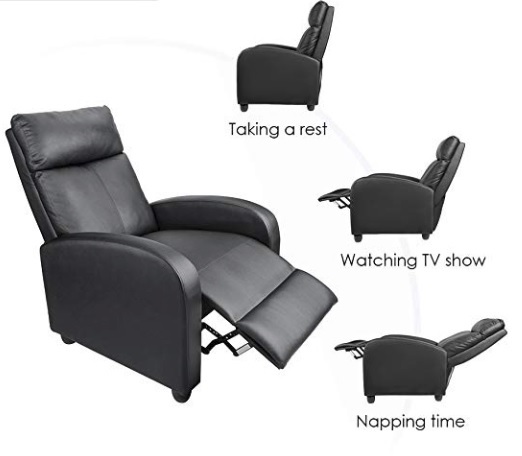 The recliner offers multiple massage modes for different massage intensities and a body section settings and intensity options so you can find your perfect level. This is definitely a purchase you won’t ever regret making! The 8-point electric massager and lumbar heat elements are awesome. The cup holders are nice and can be taken out for cleaning. The color, size, style and overall appearance are amazing, and the recliner is very comfortable. The springs in the seat and leg rest push up a little too much and are noticeable every now and then. An Amazon buyer claims the footrest doesn’t come up high enough and at times, stays up. Another also reported that the getting the footrest up and down is hard and noisy. Another buyer on Amazon claimed the chair doesn’t set well when reclining, as it leans to one side. When choosing the best recliner, you must ensure that it is comfortable, and made of materials and frames that will not go down the hill in a short amount of time. Therefore, it is important that you buy from a reputable manufacturer. Well, 99 out of 100 people that bought the Esright Massage Recliner Chair Heated PU Leather Ergonomic Lounge 360 Degree Swivel (Black) gave it at least a 4/5-star rating. That is because this recliner chair is made of high-quality materials and has several amazing functionalities. The Heat and Massage function is probably the winner for some buyers, the Esright Massage recliner features a massage function that lets the chair vibrate and gently massage your back, especially the lumbar area. You can be rest assured that back will enjoy the optimal relief for backaches. And combined with the heating function, the level of comfort and relaxation that this reclining chair provides can make you abandon your bed for good! The reclining chair is housed in Polyurethane (PU) Leather which is soft and sturdy and padded with extra thick foam for the back and arm comfort. Equipped with 360-degree swivel and 150-degree recline features, the Esright Massage Recliner allows you to switch from seating to reclined in a matter of seconds with the use of a simple to use remote control. A 360-degree rotation lets you know what’s going on around you without getting out of your chair! What more, this recliner comes with two cup holders and 4 storage units for your magazine, snacks. And the remote control allows you to get more things done with just a press of a button. Above all, this recliner is one of the best recliners for small spaces in the market. Go for it! Assembly is super easy, it can be done in less than 10 minutes right out of the box. The side pockets give you the extra storage for your magazines, remote controls, and anything that can fit in. The heating capabilities allow you to warm up your muscles and joints, and its massaging capabilities are perfect for those who need help improving their circulation. Swiveling and reclining motion of the recliner is awesome, and transitions from one mode to another smoothly. Even with a clean and simple design, the recliner is very comfortable and roomy. It is not suitable for people that want a hard massage because the massaging motion is a little on the soft side. The massage and the heating feature are connected together I.e you cannot turn on one without the other turning on too! More effort is needed to take the footrest out or push it back in. The cup holders are just sized enough for a bottle of beer or a can soda, but it will not fit a coffee mug or something larger. If you are looking for a massage recliner that packs as many features and functionalities as possible and you are short on budget? Good news! The Space-saving Zero Gravity Full-Body Kahuna Massage Chair Recliner LM6800 with Yoga & Heating Therapy is exactly what you are looking for. 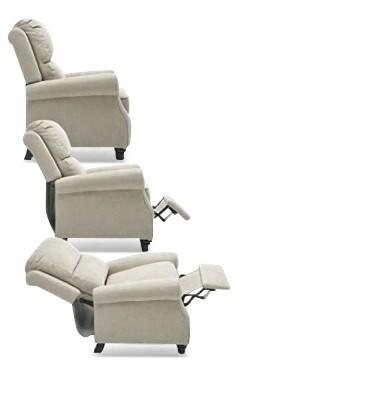 6 Auto programs, timer button, double layer shoulder airbags, extra foot padding and remote holder, L-Track massage system, 3 stages of Zero Gravity, Smart Body scan technology, Air massage, 3-years warranty, and footer area with dual foot rollers and detachable and washable footer area, all in one Massage recliner! This unique product is truly amazing! The Kahuna Massage Chair LM6800 is an excellent buy for the budget shopper. This recliner spots many features, but the Zero-gravity is its main selling point. The zero-gravity feature allows you to recliner weightlessly with your legs level with or higher than your heart. This position is ideal for relieving stress on the body and allowing for a more concentrated massage sensation. This recliner is designed in such a way that it only needs 5-inches of space, making it great for saving space without compromising comfortability. The 6 automatic massage programs – Yoga, SV-Chiro, Deep Tissue, Stretching, Relax, Rejuvenate- is great. The zero gravity allows you to relax your body and ensures maximum comfort level. The customer support is really amazing, several Amazon buyers commented it is the best they have ever seen! The lack of insulation on the foot rollers which gives a rough experience. The noise of the massage chair is a bit too much, one might need to invest in a pair of earplugs! One Amazon buyer claimed there is no support in the neck area, leaving it feeling strained. The recliner chair is not really suitable for tall people. As more and more massage chairs make their ways into the market, it is our job to guide buyers to the best! 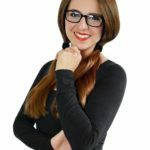 I am really proud to feature the Relaxonchair MK-II Plus Massage Chair on this list. This massage chair simply fulfills all your massage needs! The recliner is equipped with the newly innovated L-track Massage System, 4 fully automatic programs designed to mimic the actions of a professional massage therapist, 5 manual specific targeted massages, as well as a unique computerized body scan and a one-handed accessible remote controller. The chair is designed to provide deep, human-like massage throughout the body and provide a stretching function. 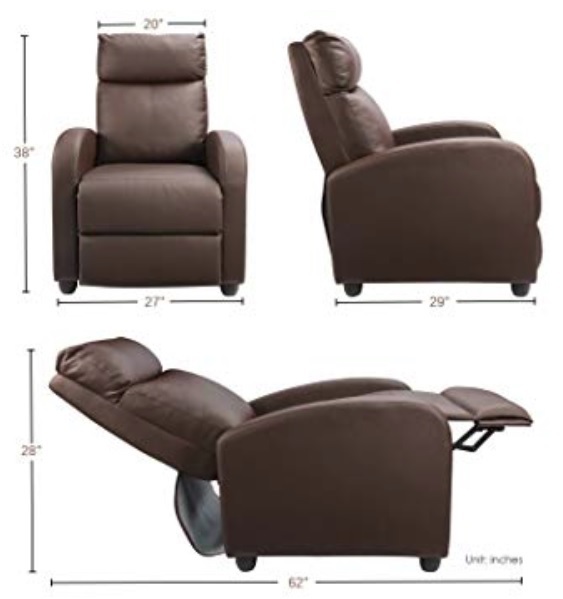 One of the most admired features of this massage recliner chair is the L-Track Massage System, designers with innovative rollers that conform to the spine’s natural shape. Dual rollers glide from the upper back all the way down to under the seat towards the gluteus muscles to provide the user with a full body massage. The built-in heating system of two heating pads located in the lumbar region relieves the tension and further promote relaxation. The Relaxonchair MK-II Plus chair has uniquely designed airbags to give a full body air massage system. A Zero-gravity position relieves the discomfort of back pain and allows your heart to work less so you can experience the ultimate relaxation. The remote controller has a large viewing screen to easily visualize what functions the chair has activated. It is also able to select up to three levels of airbag intensity, three levels of speed control, five manual specific massage programs, and four automatic massage programs. It’s not complicated, not expensive, and it handles the basic massage really well. 4 automated massage cycles and ability to select manual massage modes. The massage recliner is durable, as claimed by many buyers. The zero-gravity is good and have amazing therapeutic effects that can be felt almost immediately. The remote controller is not user-friendly and the backlit is dim. The massage parts, when moving, make a steady sound that is consistently audible. The foot massage is a little too intense and might require additional foam padding. The instruction manual is not comprehensive. So, you need a trial-by-error method to fully understand some functions. Massage recliners are becoming more of a necessity in many homes, and gradually becoming a daily family routine. The benefits the massage recliner chairs offer is more than what can be contained in a single article, but we do hope this one has been able to give you the necessary information. 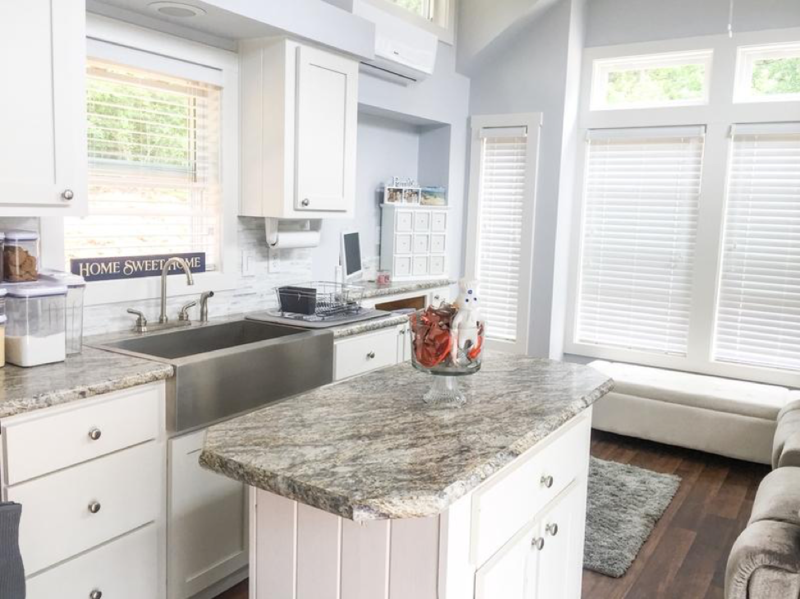 You don’t have to worry about where to put this useful piece of furniture because they are designed to fit well into small spaces. If you are looking for the perfect reward for your back, go ahead and buy one of the sweethearts listed above.